In this post I will try to explain one user experience issue. 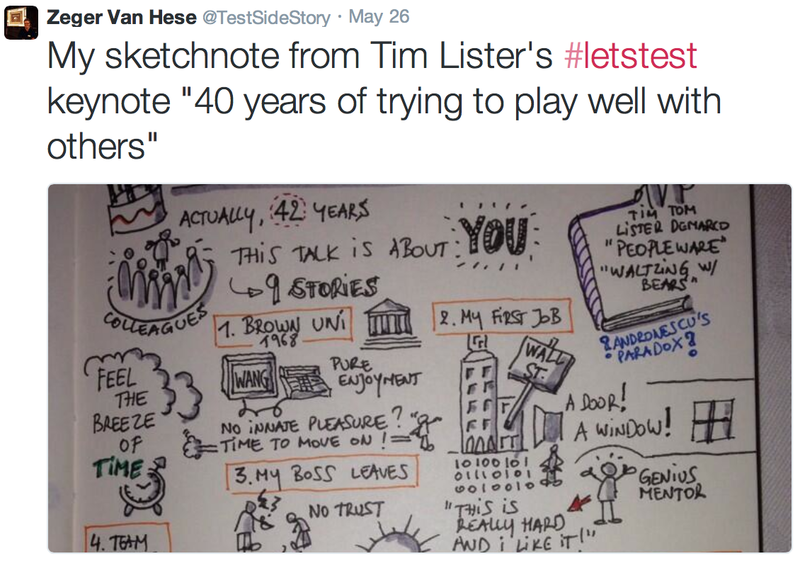 By reading my daily rss feed of testing blogs, I found out about this great Prezi presentation, Everything is connected – exploring diversity, innovation, leadership by Zeger Van Hese. I clicked on link and was redirected to Prezi. Zeger is known for his great notebook notes and he has specific design style and flow (that I have never seen before) for his presentations. I followed presentation link and started going through presentation slides using web interface navigation buttons. By observing web interface options, I concluded that I was not logged in to Prezi (there was log in option). After I went through the number of slides, I decided to like this presentation using Like option. I clicked on it, and I was redirected to login form. When I hit back browser button, I was at the first presentation slide. UX issue is that I lost time in order to get to position where I was when I hit like button. This post is example how tester, using skill of knowing how HTTP protocol works, raised an UX issue without any use of testing automation.